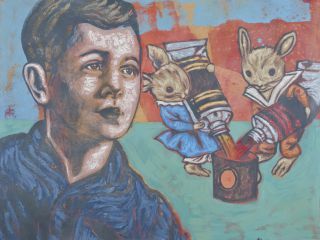 In this painting titled "Best Friends" by David Bromley, an angelic young boy appears lost in his thoughts in a state of daydream, while the background illustrates his mindset. 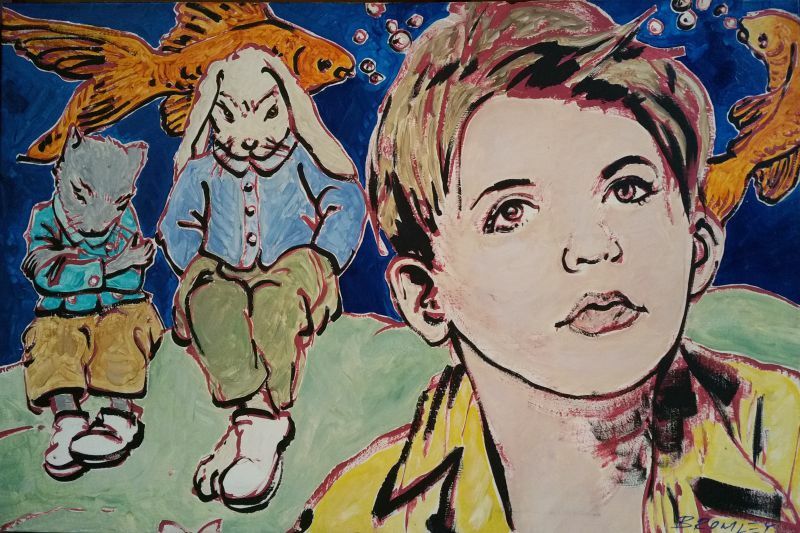 The artist merges reality and imagination on the same painting by depicting the child's mind, oblivious to the boundaries between the two. The boy is dreaming of fishes and animated bunnies, accompanying him as imaginary friends. Providing comfort in times of difficulties and companionship amidst loneliness, an imaginary friend is a tool young children use to help them make sense of the adult world. Through this piece, the artist plunges us in the memory of our dearest friends, the ones we create and that could never disappoint us, disappearing at the same time our innocence fades with age. 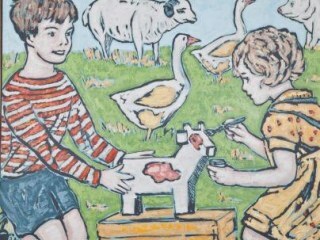 I'm interested in this Best Friends by David Bromley. Please advise availability and price. Thank you.